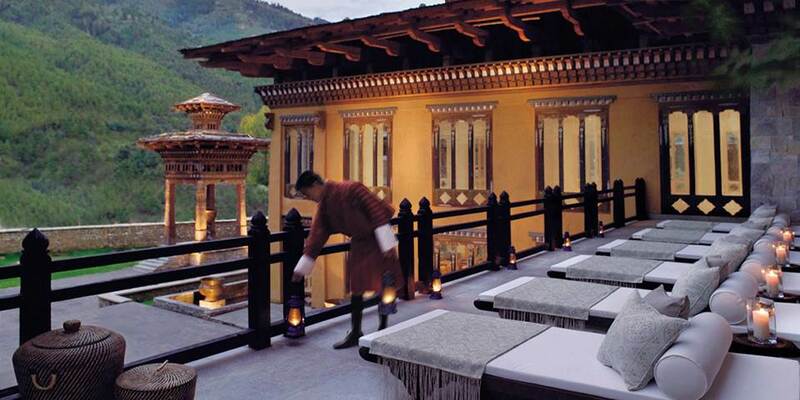 Located at the heart of the Thimpu Valley in the capital city of Thimpu, Taj Tashi is a blend of Bhutan’s Dzong architecture and modern design. Adorned with classical hand drawn Buddhist murals, it is a hotel totally in keeping with the enchanting surroundings and is the ideal base from which to explore all the wonders on offer in this tiny Kingdom. Taj Tashi offers guests a range of delightful culinary experiences that combine the best of Bhutanese with Tibetan and European cuisines. 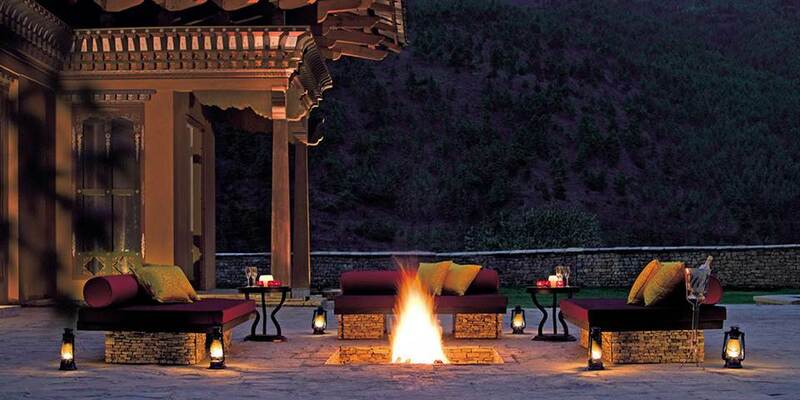 Each of the hotel’s four restaurants is designed on a theme that elaborates on a different aspect of Bhutan’s culture. Specialising in Bhutanese cuisine and aptly named after the 108 principal temptations in Buddhism, Chig-ja-gye is set in a dramatic space embellished with old style gold-leaf paintings and horn instruments called dhungs.Magnificent prayer wheels, a constant reminder of Bhutan Buddhist moorings, can be seen through the panoramic windows of The Thongsel, the all-day-dining restaurant, which with its light and airy ambience is the perfect choice for a European or Bhutanese meal. Ara, the well stocked bar and Rimps, the tea lounge make the perfect venues in which to sit and reflect on the day. Experience the sights and sounds of Thimpu, walk along the main street for some interesting Himalayan artefacts or textiles. Take a 10 minute drive to the National Library and Handicrafts and Textile museum or just a 5 minute stroll away is the 9 hole Royal Thimpu Golf course, one of the most remote in the world, it sits beside the 17th century Tashico Dzong Palace, which houses the offices of the King and is the recognised seat of Government. After spending a day sightseeing, guests may wish to swim in the indoor pool, visit the fitness centre or for total relaxation the Jiva Spa in Taj Tashi is a little bit of heaven on earth. A pure, serene atmosphere is the backdrop for exclusive signature treatments carefully recreated from the fabled lifestyle of Indian royalty and the healing therapies of Indian spirituality. Here, every treatment and therapy is especially designed to maintain a physical, mental and spiritual equilibrium, much like the land of Bhutan itself. 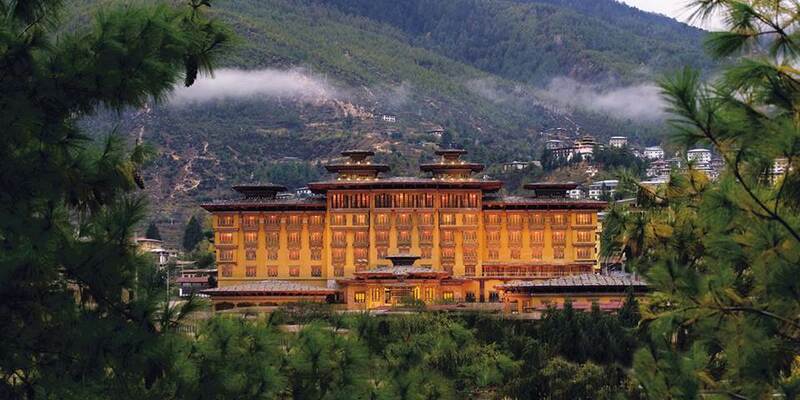 Each of the 66 luxuriously appointed spacious rooms and suites, which offer exquisite views of the valley and township, captures the essence of Bhutanese art and architecture in a contemporary setting. 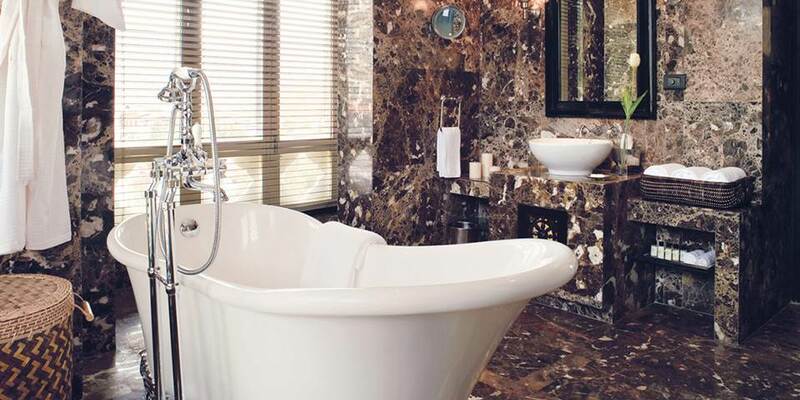 Elegant, expansive and luxuriously appointed, the deluxe and luxury rooms pamper guests with the finest amenities. Suites, on the other hand, feature distinctive canopy beds, walk-in closets and home theatre systems. Natural lighting emphasizes large, welllaid-outbathrooms featuring standalone bathtubs Some of the deluxe rooms have private sit-outs that open to the green mountains which are perfect for a romantic dinner for two. Luxury rooms are located at the corners on each floor and enjoy commanding views of the valley. Each of the suites has a separate sitting room and bedroom, with views ranging from the sweep of the river from the deluxe suites, to the two sided views of the valley and mountains from the luxury suites, through to the ultimate Duplex Suites with their stunning views of the hemmed in valley. Perched on the topmost floor of the hotel these suites have spiral staircases leading from the sitting room to bedroom and elaborate bathroom.